It happens again and again. There is a food that the public eats — one that mankind has consumed for a very long time. Someone publishes research that associates that food with a negative health effect. The experts tell everyone to avoid that food, and everyone freaks out. Eggs are tossed into the harbor. Fat is burned in effigy. Shakers of salt are smashed in public squares. Now soy is having its panic-in-the-streets moment. The humble soybean has been accused of everything from causing breast cancer to damaging the thyroid to flooding men and women with estrogen. Is soy a monster bent on destroying mankind? Is it a misunderstood ally of the human race? Let’s try to get to the bottom of the bean. "When I talk about soy in class, I talk about it like beer. If you’re an adult and you go out and have one or two beers, you can expect not to have any serious adverse health outcomes. If you drink 10, then you’re going to have a problem." One of the knocks against soy is that it contains phytoestrogens, a group of natural compounds that resemble estrogen organically. The researchers say soy’s effects are most likely complex and could depend on the age, health status and even the presence or absence of specific gut microflora in the individual. So what’s a phytoestrogen-wary individual to do? Many non-meat-eaters prefer soy because it’s a complete protein. Patisaul cautions that soy should not be the only protein a person eats — it should be one of many. Why? Too much soy causes problems for some people. In a small number of cases women ate so much soy it suppressed their menstrual cycles and acted like a birth-control pill. The remedy, of course, was simple: Eat less soy. The most damning research on endocrine disruption comes from studying animals, and it’s a body of work many have called into question. For example, some studies use only newborn mice, and instead of eating phytoestrogens, the mice are injected with them, bypassing normal metabolic pathways. Phytoestrogens might do some good, and they might do some bad, particularly when consumed in vast quantities. What, for example, are phytoestrogen’s effects on the thyroid and breasts? Researchers are busy answering those questions. Can Soy Affect Thyroid Function? The thyroid is an endocrine gland that makes hormones, which control the rate of many metabolic activities in the body. A 2006 review of 14 trials by researchers from Loma Linda University published in the journal Thyroid looked at the effects of soy food on at least one measure of thyroid function in healthy humans. The review revealed that soy and its isoflavones, a class of phytoestrogens, present little evidence of adversely affecting thyroid function. The study was written by Mark Messina, who, in addition to being a Loma Linda University professor and internationally recognized expert on the health effects of soy, is also a consultant for companies that manufacture and/or sell soy food. A three-year study of postmenopausal women in Italy published in the Journal of Clinical Endocrinology and Metabolism in 2010 exposed participants to large amounts of isoflavones and evaluated conventional as well as sensitive markers of thyroid function. No effect on thyroid function was found. But researchers are still searching for connections. For example, in 2011 a British team published a study that connected phytoestrogen with thyroid function. Sixty people with subclinical hypothyroidism (mild thyroid failure) were randomly assigned either a typical Western dose of phytoestrogen (2 mg) or a dose that coincides with a vegetarian diet (16 mg). Six participants (10 percent) progressed from subclinical to overt hypothyroidism after consuming the higher dose; no one on the lower dose had further development of thyroid issues. The study also found a significant reduction in systolic and diastolic blood pressure, insulin resistance and inflammation with the higher dosage. This study adds weight to Patisaul’s recommendation that moderation is important for people who choose to consume soy. Is Soy Connected With Breast Cancer? Soy is not a known cause of breast cancer. In fact, the American Cancer Society calls soy “an excellent source of protein and a good alternative to meat.” But estrogen plays a major role in breast cancer, which is why researchers are interested in revealing how soy and its phytoestrogens affect breast cancer survivors. Some people might read that and say, “OK, well, this stuff must be bad for you.” But contrary to that animal study, a body of research on humans says soy might help prevent breast cancer and reduce its recurrence, or it might have no effect at all. University of Southern California researchers, funded by the California Breast Cancer Research Program and by a grant from the National Cancer Institute, found that observational studies showed a decreased risk of breast cancer development in association with high intake of soy. Clinical and intervention studies on the short-term effects of soy products, however, have not shown clear beneficial or harmful effects. If there is a firm link between soy and lowering the risk of breast cancer development, it has yet to be established. 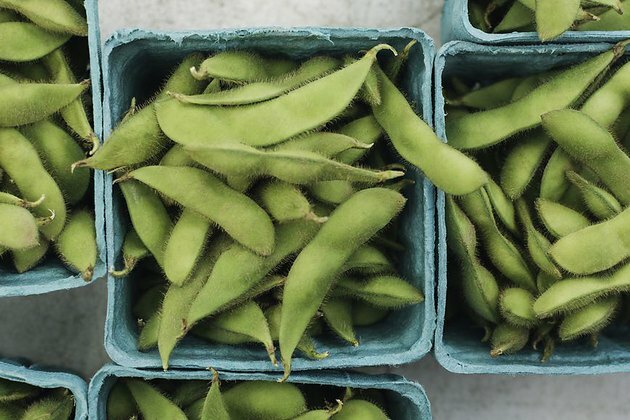 A Chinese study, for example, suggests that soy isoflavones are associated with a “significant” reduced risk of breast cancer incidence only in Asian populations and not in their Western counterparts. Vanderbilt University professor of cancer research Xiao Ou Shu has studied the link between soy and breast cancer prognosis. Her research has consistently found that soy food intake does not harm breast cancer survivors and may be associated with a reduced risk of recurrence and mortality. “It’s safe for breast cancer survivors and potentially beneficial,” Shu said. As for teens, research suggests that soy foods or an exposure to the soy isoflavone genistein during childhood and adolescence in women, as well as before puberty in animals, reduces mammary cancer risk later in life. What About Soy and Men? A 2010 meta-analysis of 15 studies found that neither soy foods nor isoflavone supplements alter measures of testosterone concentrations. 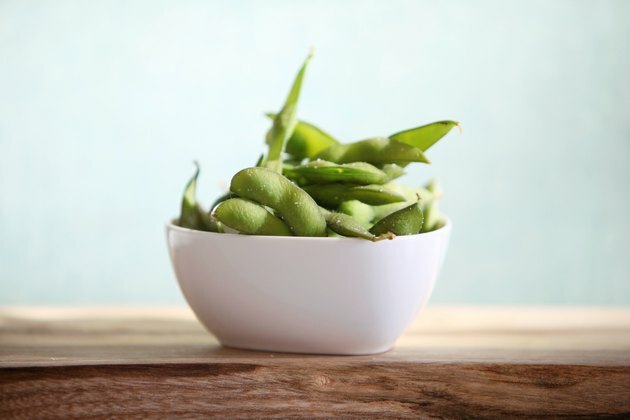 A 2013 study concluded that short-term intake of soy isoflavones does not affect serum hormone levels, total cholesterol or prostate-specific antigen, which is present in small quantities in the serum of men with healthy prostates. And What About Soy Allergies? Soy induces an allergic reaction in a small portion of the population. Some babies, for example, are allergic to soy-based formula. Most children lose their allergy as they age, but soy allergies also can spring up during adulthood. 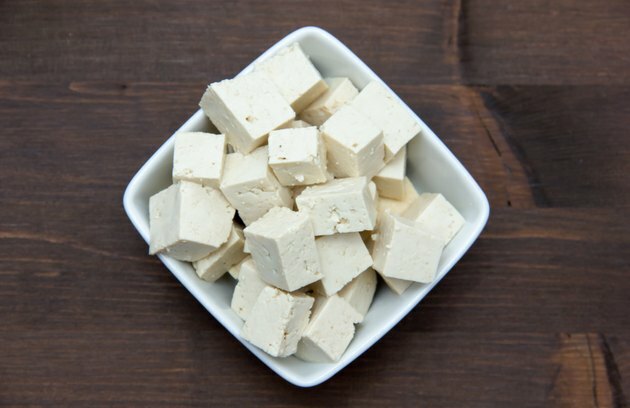 There is good news for soy eaters with soy allergies: Fermented soy may cause drastically fewer allergic reactions. In 2008, University of Illinois researchers revealed that fermented soy reduces potential allergenicity and increases essential amino acids. Sales of soy foods in the United States crossed the $5.2 billion mark in 2011. Today, processed soy protein (in the form of soy protein isolate) is used in protein bars, breakfast cereals, salad dressings, soups, cheeses, nondairy creamers, whipped toppings and infant formulas. Some doctors and nutritionists — among them Dr. Caldwell Esselstyn Jr. of the Cleveland Clinic; Dr. Dean Ornish, Dr. Andrew Weil and Dr. Mark Hyman; and Ashley Koff, a registered dietitian and co-author of “Mom Energy: A Simple Plan To Live Fully Charged” — recommend avoiding foods containing soy protein isolate, including fake meats, soy cheeses and protein bars. Weil, Hyman and Koff have spoken out to say that these highly processed soy products do not have the health benefits of whole natural soy. Koff has expressed concern that soy protein isolate may disrupt hormones. You’ve probably heard that most soy in the United States is genetically modified, and it’s true. Soybeans were among the first FDA-approved genetically modified organisms during the mid-1990s. By 2012, 93 percent of soy grown in the United States was genetically modified, according to the U.S. Department of Agriculture. Some people worry that genetically modified soy is unhealthy, citing Russian research that claims it causes infertility in hamsters. That particular piece of research was unpublished, meaning it was not exposed to a standard peer-review process. The organizations that conducted the research are not well-known. Articles and blog posts that cited the study failed to provide a link to the study itself. In conclusion: That research failed to meet the minimum standards of accountability and should not be taken seriously. There might not be hard proof that genetically modified soy is bad, but are all GMOs unhealthy? The answer is unclear at this point. What we do know with certainty is that GMOs are highly controversial, with some polls finding that more than half of the American public believes GMOs are unsafe and many countries banning them outright. A nationwide June 2013 ABC News phone poll of 1,024 American adults found that barely more than a third of the public believes genetically modified foods are safe to eat. Fifty-two percent believe such foods are unsafe, and an additional 13 percent are unsure about them. As of 2013, at least 26 countries — including Australia, Austria, Bulgaria, China, India, Italy, France, Germany, Mexico, Russia and Switzerland — had total or partial bans on GMOs. So, Are There Any Benefits to Eating Soy? Soy is a complete plant protein that contains all the essential amino acids. 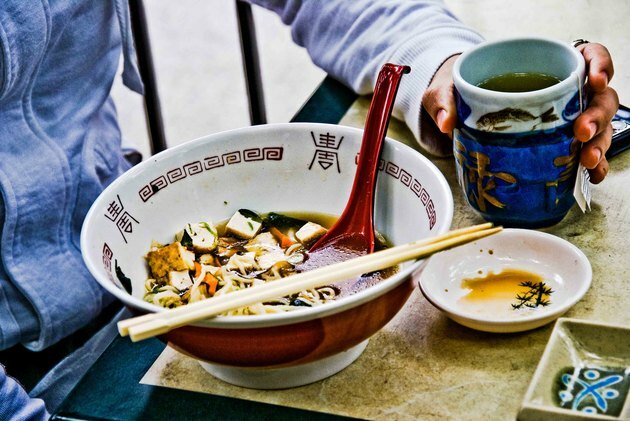 Whole soy (such as steamed edamame beans) and fermented soy (in the form of miso, tempeh and some types of tofu) have long been staples of Asian diets. 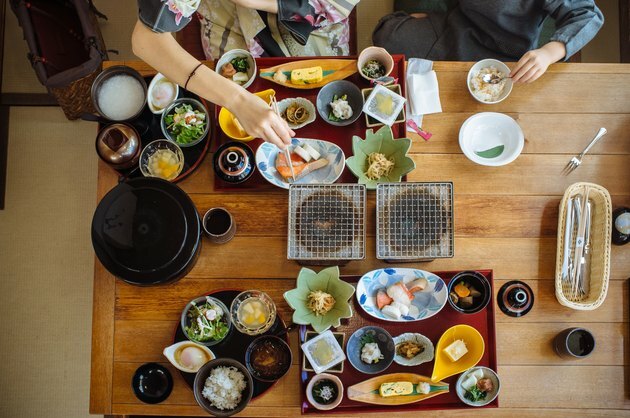 Populations that consume whole and fermented soy, such as those in East Asia, have been proven to have less breast cancer, prostate cancer and cardiovascular disease, as well as fewer bone fractures. Women report fewer menopausal symptoms, and both sexes have a lower incidence of age-related brain diseases. Interestingly, when Asians immigrate to Western nations, including the United States, and adopt the native cuisine, their disease rates change. Are there problems with soy? Yes, and the ones we know about are manmade. Soybeans are massively subsidized, which means it’s cheaper for farmers to produce soy compared to other foods. So that’s one problem: Potentially healthier foods are being crowded out of the market by Big Soybean. The other problem is that when a food is cheap, food manufacturers stick it in everything. Highly processed soy is stripped of its nutritional value, and it winds up in manufactured foods that often are less healthy than whole foods. 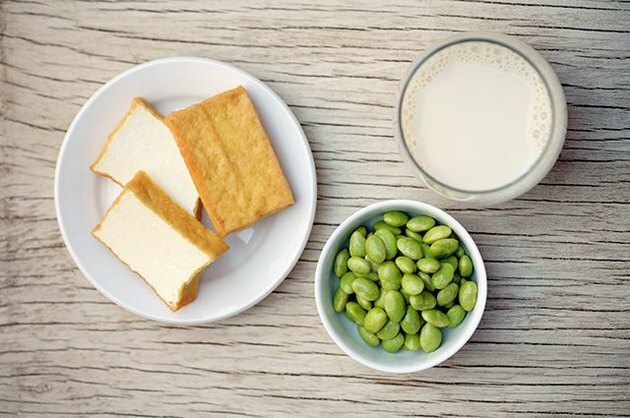 If you decide to consume soy after weighing the pros and cons, for the full benefits choose whole soy (such as steamed edamame) or fermented soy (such as miso or tempeh), and minimize your intake of highly processed soy contained in many packaged energy bars, shakes and foods like fake meats, soy cheeses and soy ice creams. Be sure to check the labels. If you are looking to avoid GMOs, choose organic soy. Organic products, by law, must be GMO-free. Also, you may want to heed Patisaul’s recommendation about moderation with regard to your soy consumption. READERS – WHAT DO YOU THINK? DO YOU EAT SOY OR AVOID IT? IF YOU DON’T EAT IT, WHAT IS THE REASON? ARE YOU CONCERNED ABOUT GMOs? DID YOU ALREADY KNOW ALL OF THIS INFORMATION ABOUT SOY? IS THERE ANYTHING IMPORTANT THAT WE MISSED IN THIS ARTICLE? LEAVE A COMMENT BELOW AND LET US KNOW WHAT YOU THINK. Joe Donatelli is a freelance journalist. Contact him at www.joedonatelli.com. Don’t eat Food X! It will kill you. Never mind that the evidence against Food X is flimsy. Never mind that everyone agrees more research is needed. Never mind that many in the scientific community disagree. Food X will definitely kill you and everyone you love — and maybe your dog too. And we, the public, fall for it every time. Why? Because we want to believe we have control over our health. We want to believe that we can avoid cancer just by not eating this one bad thing. If we choose the perfect Paleo-flexitarian-modified-raw lifestyle, we can live to be 100. Not nursing-home 100 — George Burns 100! And who knows? Given the mysteries of health (see: the placebo effect) and the many ways our bodies adapt to changes in diet, exercise and environment, maybe we’re not crazy for thinking there is a health regimen that works for each of us. But the catch is that to get the latest information we must trust experts who have unadvertised biases and who traffic in the communication of science, which is, by definition, fluid. We buy what the experts are selling because they’re the experts. And, hey, better safe than sorry. You know how this story ends. Years or decades later, a preponderance of evidence makes the experts’ original dire warnings look foolish, and we all laugh about how we were warned not to eat Food X because now it’s deemed healthy. Unfortunately, all that expert hectoring has an effect. A study published in the Journal of the American College of Nutrition in 2000 found that public exposure to negative stories about certain foods leads people to stop eating them. The researchers looked at eggs, which the American Heart Association and many media reports had publicly linked to blood cholesterol and heart disease. Since the campaign against eggs, of course, a host of studies have found that eggs confer many health benefits, and researchers have not proved there is a link between the cholesterol from eggs and heart attack risk. Fat and salt also have been widely assaulted and partially vindicated. It makes you wonder what the experts will say about soy a decade from now. Is Soy Milk Bad for Women?